The trend in CRM solutions has been moving continuously towards the cloud for years. Although SAP offers SAP C/4HANA and is continuing to develop it further, last year the SAP CRM On-Premise world was extended by a new and interesting CRM alternative, SAP S/4HANA Customer Management. SAP S/4HANA Customer Management is an add-on that is based on SAP S/4HANA and which offers the biggest advantages of traditional SAP solutions: The integration options. 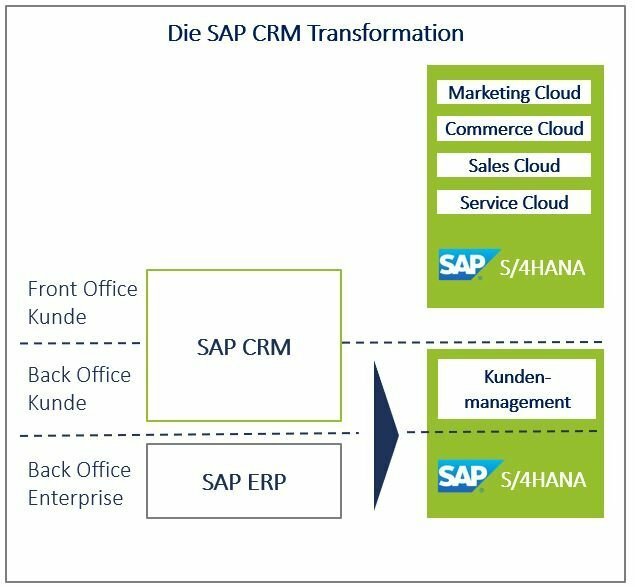 In a conventional SAP system landscape, SAP CRM On-Premise is connected to SAP ERP via middleware. However, through the transformation and relocation of traditional SAP CRM to S/4HANA CM, middleware is no longer necessary. 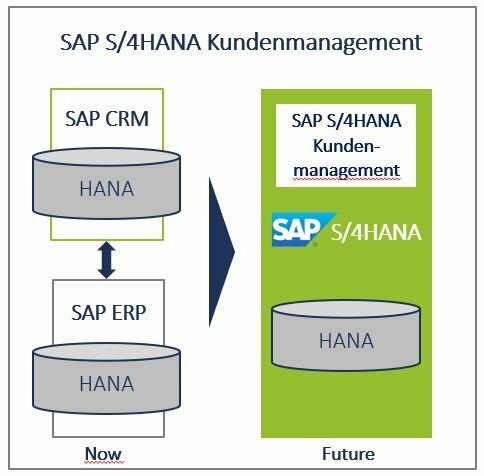 When you install the add-on on S/4HANA, all CM-relevant information and functions become part of the HANA database schema, and replication of the data between the two systems is no longer needed. This simplifies the system landscape significantly, eliminates data exchange problems, and reduces the company’s operating costs. The processing of customer wishes and needs by the front and back office is essential for customer centricity. With the introduction of S/4HANA CM, end-to-end front office processes will continue to be covered by the cloud solution C/4HANA. Processes for mapping customer and company activities were consolidated and are now handled by the back office in S/4HANA CM. Data for dealing with back-office processes is stored directly on the HANA database and no longer has to be transferred via the middleware. 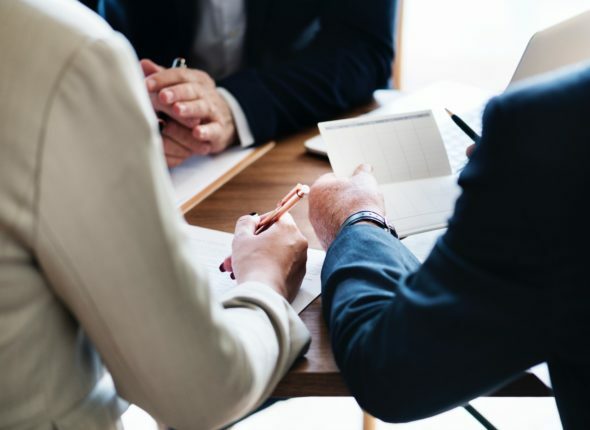 The functions provided as part of Customer Management represent an extension of the SAP S/4HANA portfolio and are closely integrated with the existing SAP S/4HANA functions. The UI of the CRM web client is still used as the user interface, but it has been seamlessly integrated into the visual appearance of the SAP Fiori 2.0 user interface (SAP Belize) and is an integral part of SAP S/4HANA. The harmonized user interface of SAP Fiori 2.0 simplifies the implementation of back-office processes in S/4HANA CM. 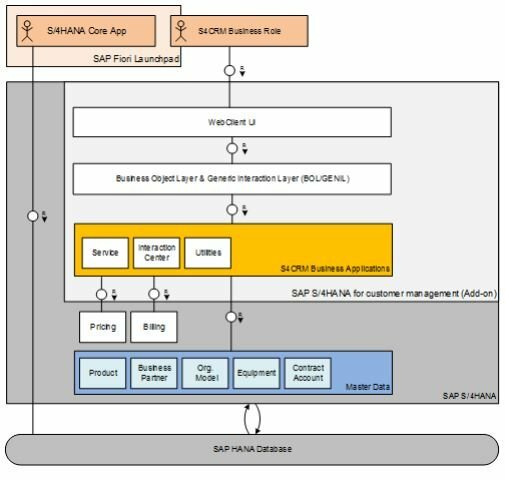 Thanks to the seamless integration of the Customer Management add-on into the SAP S/4HANA architecture, applications use the same set of master data, for example, for SAP business partners, organizational management, products and equipment. Components such as pricing and billing are also integrated into the data model. As an integrated information system, SAP S/4HANA Customer Management has taken over the functions of SAP CRM On-Premise. The objective of customer management is to record and manage customers and their relationships. This customer data is gained from customer specialists (agents/managers) with the help of various interaction functions (account and contact management) via different communication channels such as telephone, chat and e-mail (+ fax, letter). Especially in the service area, functions such as service requests and service order management were provided for the back office. New features of SAP S/4HANA CM Release 2.0 (October 2018) include additional sales functions and a customer interaction extension for the Utilities industry solution. The product plan published by SAP shows that service and sales functionalities are to be expanded further in the future. SAP customers who show great interest in S/4HANA and have a CRM On-Premise solution in use will immediately recognize the potential of this promising CM add-on. 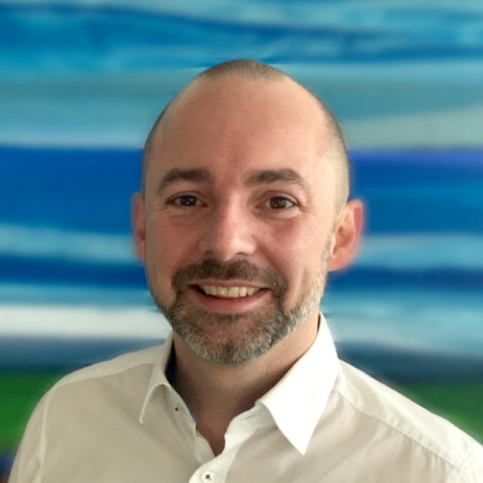 The advantages of the new CRM are undoubtedly the connection to the modern S/4HANA database, which enables a simplified SAP system landscape without data replication. The disadvantages regarding the transformation include the lack of an exact approach to data analysis and imperfect CRM functionality. Have we aroused your interest, do you have any questions about the functions, or are you interested in how the migration of this new CRM solution can be successfully implemented in your company? Then please feel free to contact us.